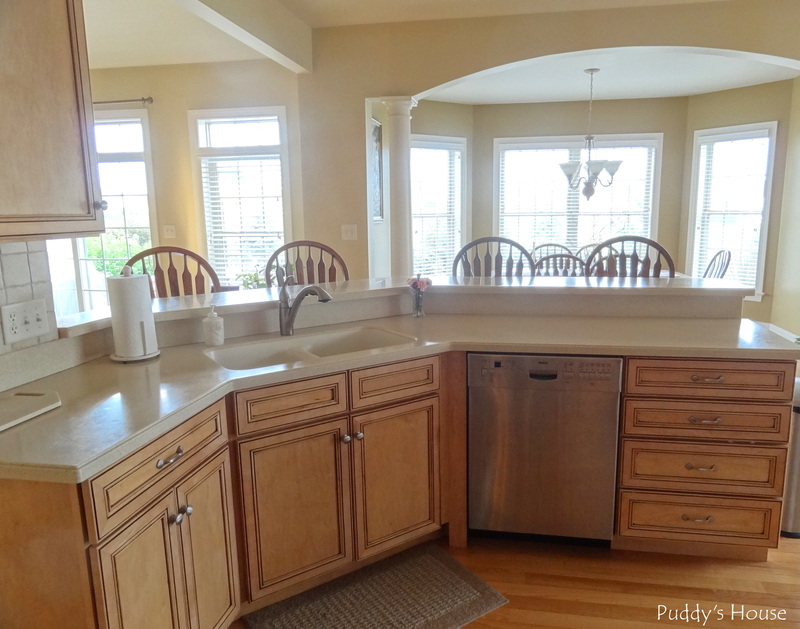 Our kitchen is in the center of our home and open to all the rooms around it. It was something I loved immediately about our house. It wasn’t finished when I first stepped in it, but it was so nice to be able to see the other rooms around it. 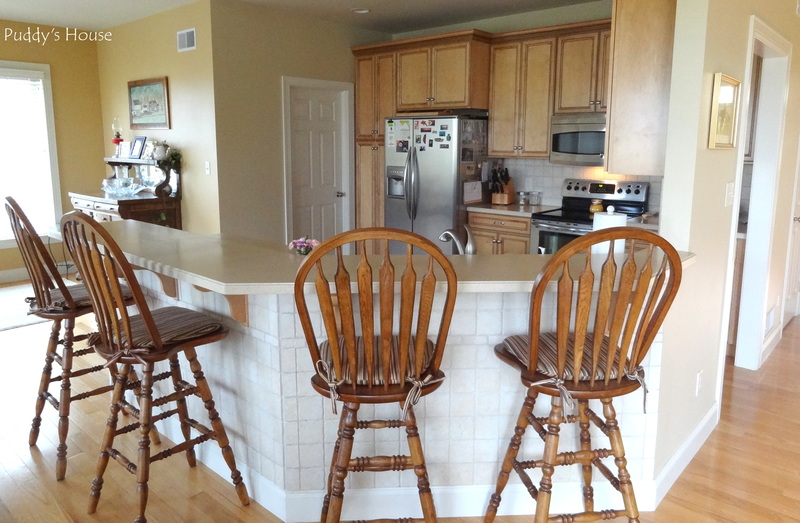 I remember this view the most, which is basically standing at the stove and turning around to see all the seats at the bar and into the dining room. 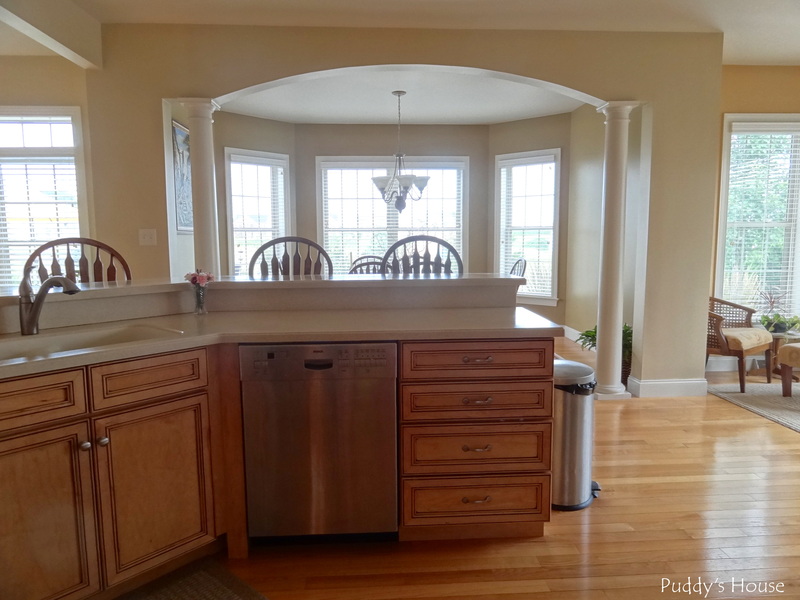 From the same spot, if you turn to look to the right you can see into the Breakfast Room too. 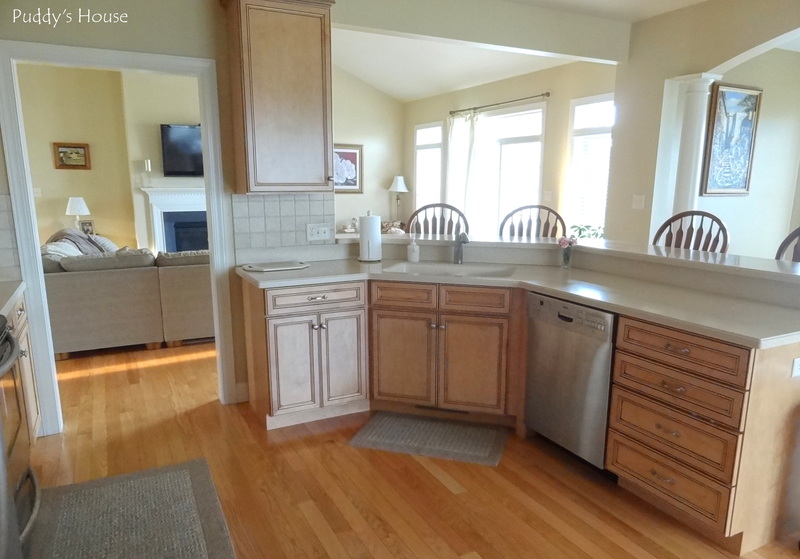 Now, if you walk into the breakfast room and look back into the kitchen, you can see most of the space. You can also see a bit of the living room in the distance. To the left of the refrigerator is our pantry cupboards, and to the left of that is the laundry room door, which also leads to the garage and the stairs to the basement. This is the view from the laundry room door. 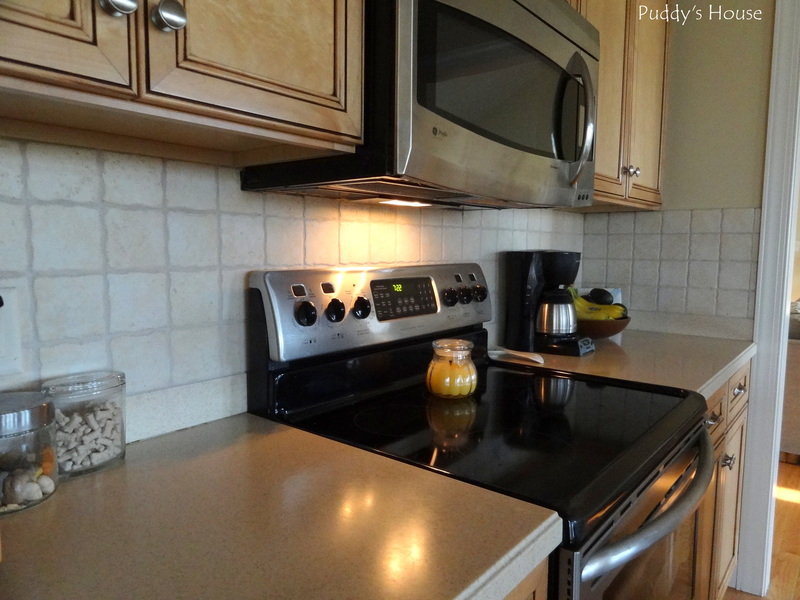 And, a close up of the stove side of the kitchen to show off our tiled backsplash. Bob and I tiled the backsplash ourselves, after we tiled underneath the bar. Lastly, this is the view from the patio doors looking back into the kitchen. The breakfast room is on the far left. The door you see leads to the laundry room. Sorry, if you noticed the brief blogging hiatus, Summer is getting the best of me, and I’m definitely still working on Balance! 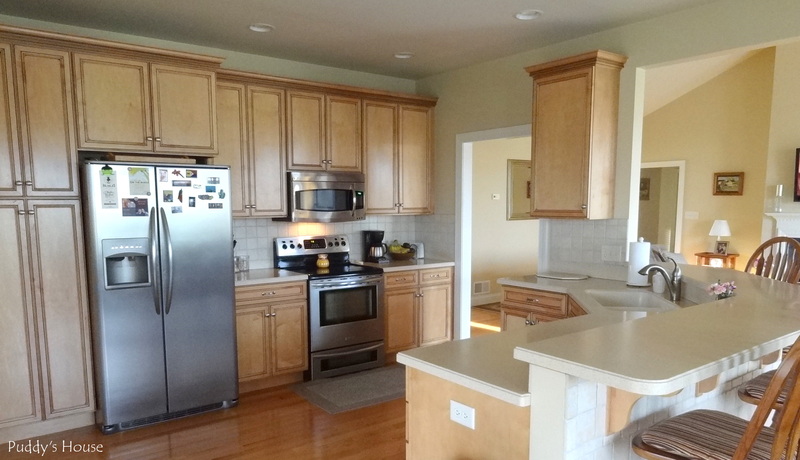 Do you prefer an open kitchen? Or, would you rather have it is a separate space?